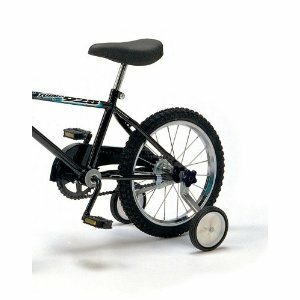 Training wheels are a wonderful invention to aid the tot with two wheel transport anxiety. More often than not the anxiety resides with the parents, but regardless of source, the wheels get installed. Now, in purely engineering terms, the extra wheels are pedestrian in design. Clearly intended for the short term, they are not of particularly robust construction, because not much use is anticipated. The added cost is modest when compared with that of the bicycle. Yet, the comfort to the psyche is enormous. Now, all of this really only applies to the munchkins. Were you to learn to ride a two wheeler at an advanced age, as was I at age 11, the training wheel option is essentially out. Even if available, the derision of the cohort group would not be sustainable. So, what does all of this have to do with electric cars? Electric cars will come in two flavors: all electric (EV’s) and hybrid electric (PHEV’s), both with the ability to conveniently plug into wall outlets and both utilizing the energy of braking to charge a battery. Both will use electricity alone to drive the wheels, so there will be an essential simplicity to the mechanics: no transmission, no gear box, no cam shafts and minimal mechanical maintenance. The essential difference between the two will be the auxiliary gasoline engine in the hybrid electric, that will charge the batteries if they run down. The all electric will not have this back up feature. So, it will rely solely on batteries for range. The early entry vehicles will have an electric range of 40 miles for PHEV’s and 80 to 100 miles for EV’s, not counting boutique cars such as the Tesla. One can reasonably expect the EV numbers to double within a few years, provided advances are made in battery technology to provide more capacity in the same volume. The car buying public will face a choice. Since the EV, when mass produced, could be expected to be cheaper to make, despite the bigger battery, the list price will be lower than that of a PHEV, with one manufacturer expected to offer it at a price comparable to the gasoline counterpart. The PHEV on the other hand, while more expensive, will have the much greater range afforded by the gasoline back up. The “fuel” costs will be comparable when run on electricity. The key difference will be a new term that has entered the transport lexicon: Range Anxiety. We can roughly define this as the fear of running out of juice without a convenient fill up station. The PHEV Chevy Volt’s electric range of 40 miles is based on studies indicating this as serving commute needs of 75% of Americans. A full tank of gasoline extends that range another 600 miles. The initial entry EV’s will have ranges of 80 to 100 miles and charging times of less than half an hour to six hours for a full charge, depending on the sophistication of the charging equipment. Home charging, at least initially, will be at the higher ends on time. Early deployment will be in cities that will install some measure of distributed charging infrastructure. 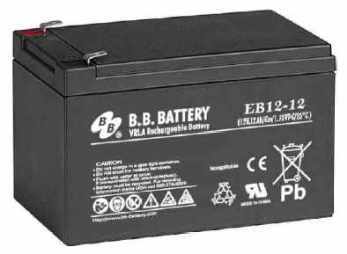 Battery swap business models are in play, wherein charging stations plan to exchange a fully charged battery for a depleted one. In the end, the buying public will have some fraction afflicted with Range Anxiety. This is where PHEV’s play the role of training wheels. With such a vehicle consumers have the luxury of sorting out their driving habits, their discipline in charging every night, and all other manner of behavior impinging upon their ability to live with the range of an EV, at all times secure in the notion that the gasoline engine can bail them out. There will also be a segment of the population eschewing this aid to behavior modification, in effect wobbling on to the bike, as your truly did some decades ago. A skirmish with a thorny bush sticks, as it were, in the memory. Thorny situations will undoubtedly lie in wait for the first time EV-ers. And then again, perhaps PHEV’s will always have a place. Choice is a good thing, in cars, colas and presidential elections. You are currently reading Electric Car Drivers may need Training Wheels at Research Triangle Energy Consortium.